Each quarter, LABIC hosts a prize competition that provides an opportunity for entrepreneurs to showcase their innovative products, technologies, or services in particular industries. 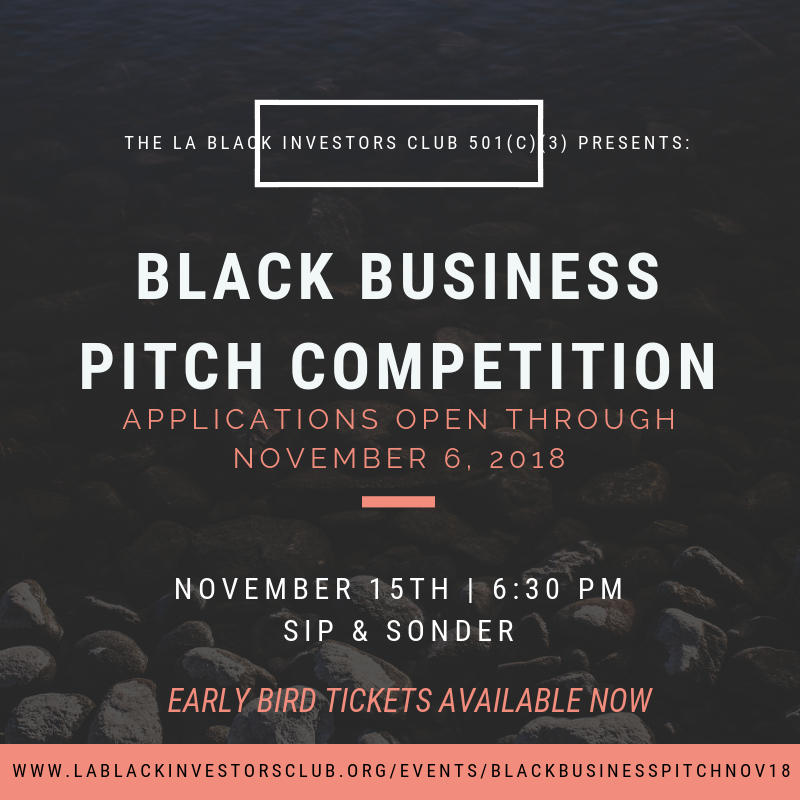 LABIC's 4Q Black Business Pitch Competition will be held on November 15th at Sip & Sonder, located in Downtown Inglewood. To attend, get tickets below! For information on how to enter the competition, please see below. LABIC has an open call for applications. Up to 10 finalists will be selected to compete in the live pitch event on November 15th, where finalists will pitch their products and ideas to a panel of expert judges and compete for amazing prizes. Past prizes have included free consulting sessions with top VC fund managers and LABIC partners, automatic entry into an accelerator program, a one year subscription to Entrepreneur Magazine, AMEX gift cards, and more! GREER ENGONGA is an investment analyst at Backstage Capital, an early stage venture fund that invests in diverse founders. In her role at Backstage, Greer sources deals, performs diligence, and assists portfolio companies. Greer is a Los Angeles native and earned her bachelor’s degree in journalism for California State University Northridge. JAMEELA JACKSON is an accomplished PR strategist, community leader, and digital media founder. Her newest startup venture is Hustle x Glow, a multi-media platform that produces content for female entrepreneurs and influencers. Jameela is also Director of the Hollywood chapter of Startup Grind, a global startup community and event series powered by Google for Entrepreneurs, which Jameela launched to promote growth and expansion in the Hollywood ecosystem. 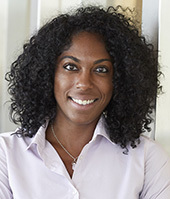 SHANITA NICHOLAS is an associate at Stubbs Alderton & Markiles, LLP. Her practice focuses on corporate transactions, corporate governance, mergers and acquisitions matters and other general corporate and business matters. Shanita received her B.S. in Chemical Engineering from Columbia University and her JD and MBA from Columbia University Schools of Law and Business. Finalists will be notified by email by November 8th. Finalists must confirm their intent to participate in the live pitch event by submitting their business plan by November 12, 2018 at 11:59 pm PT. The business plan can be in any format, including PowerPoint, financial model, Word document, etc., that best portrays your company's operations and future plans. Failure to confirm will result in disqualification. To qualify for the prize, participants must be physically present for the live pitch event on November 15th. No pre-recorded presentations will be allowed. The application period opens on October 17, 2018. The application period closes on November 6, 2018 at 11:59 pm PT.